As the public turns on Republican senators who opposed the legislation, supporters aim to line up a second shot for it, and a new result. 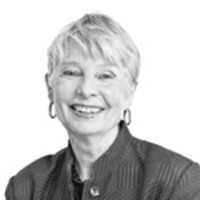 Eleanor Clift reports. A hunter and lifetime member of the National Rifle Association, Democrat Joe Manchin won his Senate seat after airing an ad that showed him firing a rifle and shooting a hole in the cap-and-trade bill backed by President Obama. Now the West Virginia senator is the point man on Capitol Hill for reviving legislation on background checks for gun buyers that lawmakers killed just three weeks ago. With polls showing the public turning on some Republican senators who voted against the popular bill, Manchin’s crusade for a second wave of gun legislation could succeed. It’s highly unusual after a crushing defeat to ask for a redo and expect that the outcome will be any different in three or four months, but there is reason to take Manchin seriously. Polls taken before the Senate vote showed that more than 90 percent of voters support background checks to keep guns out of the hands of criminals and the mentally ill, and some of those voters have evidently soured on the senators who helped bring the bill down. Conversely, vulnerable Democrats in red states who voted for the bill, like Mary Landrieu in Louisiana and Kay Hagan in North Carolina, are experiencing no ill effects. Manchin says the bill would have gotten 70 votes in the Senate if the NRA hadn’t “scored” it, meaning a vote for the legislation would have caused a lawmaker’s “score” from the influential gun group to plummet. New Hampshire Republican Kelly Ayotte, the only senator in the northeast to vote against the bill, saw her poll numbers plunge by 15 points. Pennsylvania Republican Pat Toomey, who co-sponsored the bill in a show of independence from both the NRA and the GOP, saw his numbers rise to a record high with 54 percent favoring his work on the compromise legislation and just 12 percent opposing. A subsequent poll conducted by a Democratic-leaning group, Public Policy Polling, found that five Republicans and one Democrat, Alaska’s Mark Begich, were feeling the heat for opposing the legislation. In addition to Ayotte, the Republicans are Nevada’s Dean Heller, Alaska’s Lisa Murkowski, Ohio’s Rob Portman, and Arizona’s Jeff Flake. All are seen by gun-safety advocates as potential yes votes in a second wave of voting. Manchin, an essential ally for Obama as the old politics of guns give way, said the bill will be tweaked to clarify Internet sales and what constitutes a commercial sale versus friends and family–changes that provide political cover for senators to change their vote. “We have got to give them some comfort, you can’t just push ’em and push ’em,” says Manchin, who moves seamlessly across the ideological landscape, schmoozing with Fox News as easily as he does with Maddow. A former governor, Manchin knows his state and what his constituents are capable of, and he is convinced that given a second chance and a few tweaks he can sell the bill he co-authored with Toomey. Manchin’s tireless promotion of the bill—“Read it,” he implores—is convincing.